Amsterdam RAI stond in de laatste week van november in het teken van drones. Joep Schroeders, manager foreign investments bij SADC, begeleidt internationale bedrijven in logistiek en aerospace die zich in de Metropoolregio Amsterdam willen vestigen. Hij bezocht de Amsterdam Drone Week en schreef er een Engelstalige blog over. This week, Amsterdam is the center of and for the drone industry. Amsterdam Drone Week (in RAI Amsterdam convention center) is an event that brings together the entire UAV (unmanned aerial vehicle) industry and “showcases the latest technology and helps unlock the potential of drones and discovery of new applications”. It’s not only about toys for boys (and indeed girls). It’s serious business. And it will be there sooner than you think. The innovations and technologies are there; it’s the governments and its related agencies, such as the European Aviation Safety Agency (EASA) that are currently still working on (safety) regulations and certifications. 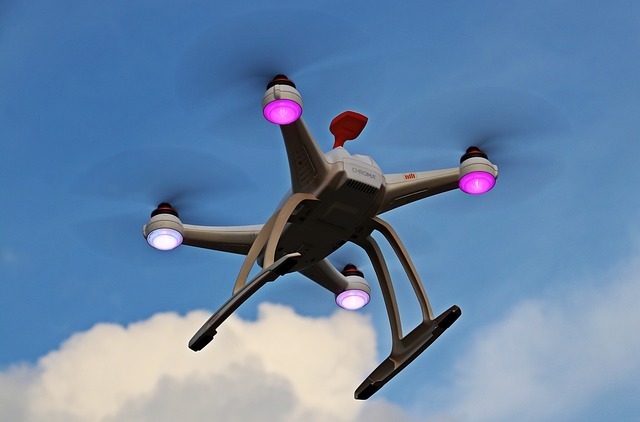 At the moment, drones are – besides for private use – being used for inspection and (predicted) maintenance. Add a 5G network and artificial intelligence and a potato farmer can optimize the use of pesticides, and eventually cut costs and minimize the environmental impact. The oil and gas industry uses drones for inspection of its long pipeline network. And what about providing remote areas with medicines and blood? Zipline uses autonomous aircraft to deliver more than 40 percent of the national blood supply in Rwanda. When will we take off in a drone? Head of Uber Aviation, Eric Allison, showed a film on Ubers ambition to commence flights as of 2023. Uber Air will enable shared, multimodal air transportation between suburbs, cities, and ultimately within cities. Airbus and Audi teamed up to develop a drone-car, the Pop.Up Next. They want to create a network of flying taxis to move people autonomously from A to B. And there’s more: companies such as Boeing, Bell, Embraer and Hikvision are working on prototypes. They want – and need – to be future proof. No coincidence that all have a presence in the Amsterdam Area. Becoming future proof also applies to the City of Amsterdam and Amsterdam Airport Schiphol. They are looking into the future of urban mobility and the role of airports. How will it make cities smarter, better and more efficient? I’m wondering how UAV’s will impact logistics. This week, NLR- Netherlands Aerospace Centre (amongst others), launched the XLCargoDrones innovation centre to accelerate the market introduction of Unmanned Cargo Aircraft (UCA). How will this affect supply chains and will it change the development of business parks? I can imagine, that within a couple of years logistics service providers (LSP’s), such as Kuehne + Nagel, Expeditors and DHL, demand docking stations for UCA’s on their warehouses. Without doubt, the Amsterdam Area will remain the logistics and maintenance service hub for aerospace spare parts, including 3D printed UAV spare parts. We’ve been pioneers in aerospace and logistics over the last centuries and I’m confident that we can continue to show our entrepreneurial spirit now and in the future. Marie-Jeannine and I look forward to hear your views and explore opportunities about UAV’s.